Traditional soda is getting all sorts of bad press these days so die-hard soda drinkers like myself are constantly searching for alternatives. I recently tried one I bought at Whole Foods, Zevia, which is sweetened with Stevia, a sweetener positioning itself as natural. I bought some Zevia cream soda, hoping it might invoke the carmel-flavored cream sodas of my youth but no such luck., Instead it has what seemed an odd taste to me, especially when it wasn’t super-cold after having sat in a glass for a while. 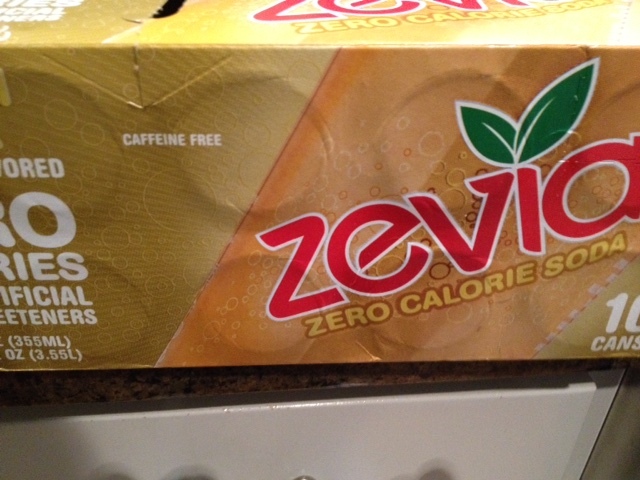 Zevia won’t make me forget Diet Coke despite the bad press it continues to get. I’ve cut way back on my Diet Coke consumption, from more than 100 ounces a day to about 60 ounces a week. I classify Zevia along with another Stevia-sweetened soda I tried last year, Honest Fizz, as something that might be occasionally nice but doesn’t replace the real thing. Thanks for writing, will do, I’m always open to trying something new.